How do the Jews of Post-Holocaust, post-communist Europe—east and west—regard themselves? Do they perceive themselves as a religious minority, an ethnic group, or simply as ordinary members of the wider European cultures in which they live? How do they regard the wider non-Jewish community, and how do they relate to the Jews of other European countries? To what extent is Israel a factor in forging these relationships? The contributors to this book are authorities in their respective subjects, and all have significant international reputations. Together they cover a wide range of topics from different perspectives. 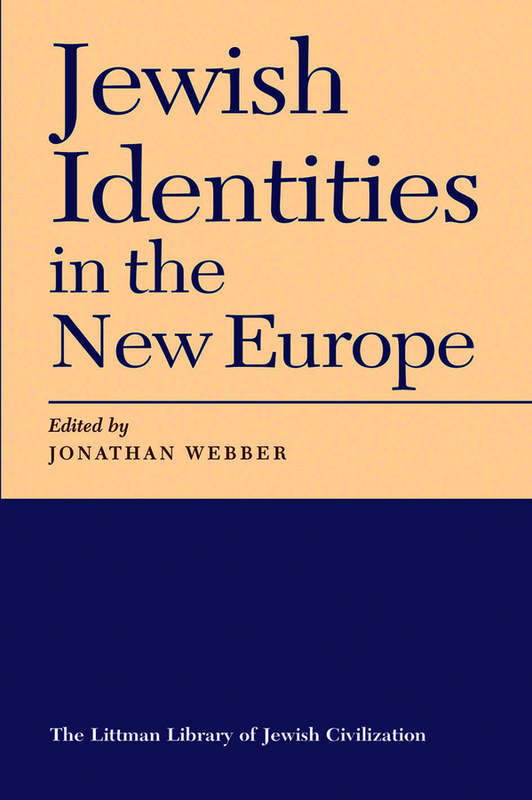 Among the problems considered are: what the future holds for the Jews of Europe; what it means to be Jewish in the countries of eastern Europe (Russia, Poland, and Hungary are considered in detail by local experts); hopes and uncertainties in religious trends; and the likely development of interfaith relations, as seen by both Jews and Christians. A well-argued introduction identifies the points of convergence, the contradictions, and the myths implicit in the different analyses and teases out the main conclusions and implications. Authoritative and accessible, this book is essential reading for anyone who wishes to know about the contemporary concerns of the Jews of Europe. Published for the Oxford Centre for Hebrew and Jewish Studies. CONTRIBUTORS: Geoffrey Alderman, Max Beloff, Margaret Brearley, Julius Carlebach, Mikhail A. Chlenov, Sergio DellaPergola, Evyatar Friesel, Pier Francesco Fumagalli, Konstanty Gebert, Daniel Gutwein, András Kovács, Igor Krupnik, Norman Lamm, Jonathan Magonet, Elisabeth Maxwell, Stephen H. Miller, Jonathan Sacks, Dominique Schnapper, Eliezer Schweid, David Singer, Norman Solomon, Shmuel Trigano, Jonathan Webber, Robert S. Wistrich. Jonathan Webber is a British social anthropologist. He taught Jewish studies at the universities of Oxford and Birmingham before taking up a professorship at the Jagiellonian University in Kraków. He retired in 2016. He currently serves on the board of the Galicia Jewish Museum and is founding chair of the European Association for Holocaust Studies.